Fuyao Glass America is part of Fuyao Industry Group Co. Ltd., an international manufacturer of automotive and industrial glass located in China, with U.S. manufacturing plants in Dayton, OH, Mt. Zion, IL, and Lake Orion, MI. Its main customers include GM, Ford, Honda, Isuzu, Toyota, Mazda, Audi, Volkswagen, Citroen and Mercedes. Recently Fuyao Glass America has announced the grand opening of its newest U.S. facility in Moraine, Ohio. Upon completion, the 116-acre facility, which is housed in General Motors' former assembly plant, will be the largest glass fabrication plant in the world with the capacity to produce four million automotive car sets and four million automotive replacement glass windshields each year. The facility currently employs 2,000, but Fuyao expects this number to grow to 2,300-2,500 by the end of 2017 to keep up with demand. The new Moraine facility represents USD $450 million in total investment by Fuyao, the largest Chinese investment in Ohio history and eighth largest direct foreign investment in the U.S. over the last decade, according to the company. Fuyao has stated that it is aiming to regenerate both the local Ohio community, with $25 million to $30 million funneled into the economy each month, and the broader automotive industry. "The grand opening in Moraine is the culmination of a monumental undertaking by Fuyao and our partners," said Chairman Cho Tak Wong of Fuyao Glass Industry Group. "We are proud of our work in Ohio, in the heart of the U.S auto corridor, and are highly committed to supporting the growth of the North American automotive market. 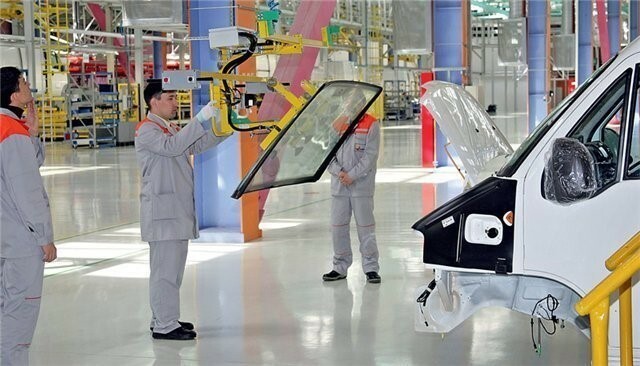 Fuyao China currently supplies around 70 percent of the Chinese auto glass market, and through close work with our OEM partners, we believe we will replicate this success in North America." John Gauthier, President of Fuyao Glass America shared "Fuyao's goal is to provide the highest quality product and outstanding service to our customers building on the heritage of this facility, the support of our community and state-of-the-art manufacturing capabilities, customers are already seeing the benefits from shorter development and shipping lead times. We are thrilled to receive strong support today from the wider Fuyao community and look forward to building on this foundation of innovation and success."